Ready to seriously upgrade the selfies and other pics you share every day? Then the PowerShot N2 camera is for you. 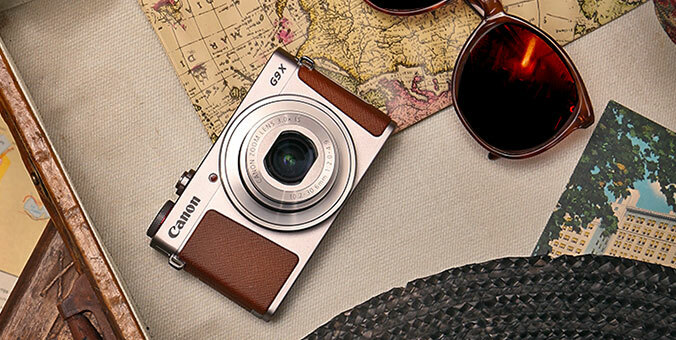 It's a Wi-Fi®*- and NFC-enabled** high-spec camera that creates the high-quality images you desire. Post directly to social networking sites, even shoot remotely from your smartphone or tablet, but get ready for a lot of likes. New Self Portrait mode takes full advantage of the camera's selfie-ready, multi-angle capacitive touch panel LCD, showing you in your most flattering light. Creative Shot mode offers dozens of ways to make your shots stand out with unique creative flair, and creates fantastic movies, too. Best of all, each and every image resonates with Canon quality. The PowerShot N2 camera is equipped with a big 8x Optical Zoom and 28mm Wide-Angle lens with Optical Image Stabilizer, and a 16.1 Megapixel*** High-Sensitivity CMOS sensor plus Canon's latest DIGIC 6 Image Processor for the Canon HS SYSTEM, which means that even in low light your images will look beautiful. Creative sharing with Canon quality - the new PowerShot N2 does it all. † The PowerShot N2 has not been authorized as required by the rules of the Federal Communications Commission. This device is not, and may not be, offered for sale or lease, or sold or leased, until authorization is obtained. * Compatible with iOS versions 6.0/6.1/7.0/7.1, Android smartphone versions 2.3.3/4.0/4.1/4.2/4.3/4.4 and Android tablet versions 4.0/4.1/4.2/4.3/4.4. Data charges may apply. The PowerShot N2 camera is equipped with built-in Wi-Fi® technology so you can easily share your creative photos and video with friends and family. The camera can connect directly to both iOS® and Android™ devices*, and upload images via the free Canon CameraWindow app** without a computer. Easily post your images to social networking and media through CANON iMAGE GATEWAY# or save them to the online photo album to share anytime, anywhere. You can share your images with everyone or to selected groups, and even add comments. Sharing video is also easy with the PowerShot N2, which records video in the easy-to-share MP4 format. The built-in Wi-Fi® technology on the PowerShot N2 also allows you to transfer images to other Wi-Fi® equipped PowerShot cameras or print your photos directly to a PictBridge (Wireless LAN) certified printer. The PowerShot N2 camera supports NFC (Near Field Communication) technology, eliminating the need to manually find and open the Canon CameraWindow app* on your mobile device. Simply touch the NFC icon on your camera to your compatible Android™ device**, and the CameraWindow app will launch automatically for quick, easy sharing of your images. Built-in NFC technology also makes it simpler to install the app. If the app hasn't been installed yet, once you touch the devices together for the first time, the download screen will display automatically. It's now easier than ever to connect your PowerShot N2 camera to an iOS® or Android™ device* using the Mobile Device Connect Button. The button allows you to choose to transfer images to your smartphone or tablet for immediate sharing with the CameraWindow app**, or to your computer on the same network with Image Sync to make saving and organizing your images easier. Once your device is registered on the PowerShot N2, simply press the Mobile Device Connect button for easy connection. By connecting to a smartphone with the CameraWindow app using the Mobile Device Connect Button, you can browse and share images while still leaving the camera inside a bag. It is also possible to turn off the camera quickly and easily, directly from a smartphone. Once the camera is linked to your computer on the same wireless network, you can automatically transfer images to it, for easy saving and organizing of your photos. The LCD screen on the PowerShot N2 camera is one of its most fun features. The easy-to-use capacitive touch panel screen is 2.8 inches, and high resolution ensures a crystal clear display. Best of all, you can set it to multiple angles, including a 180° tilt that's perfect for selfies. When the LCD is turned to this position, an icon for the new Self Portrait mode will appear. Simply touch to smooth and brighten skin, create beautiful background blur, even activate a self-timer. Creating artistic photos that really get noticed is fun and easy with the powerful Creative Shot mode on the PowerShot N2 camera. In this mode, the camera captures the original composition, then automatically produces and saves five additional variations. These variations are generated using advanced Canon technologies to apply filter options that are not simply layered on, but rather based on complex analysis of the individual scene, subject and exposure, for impressive images you'll love to share. 46 filter choices are available and are grouped into Retro, Monochrome, Special and Natural categories to make exploring your options fun and easy. * In AUTO mode, Servo AF and Servo AE are activated when movement of the main subject is detected and the shutter button is pressed halfway. 4GB 5 hrs. 15 min. 34 sec. 10 hrs. 05 min. 50 sec. 18 hrs. 46 min. 40 sec. 13 hrs. 08 min. 06 sec. 23 hrs. 47 min. 21 sec. 40 hrs. 23 min. 48 sec. 16GB 21 hrs. 12 min. 38 sec. 40 hrs. 43 min. 15 sec. 75 hrs. 43 min. 35 sec. 52 hrs. 57 min. 51 sec. 95 hrs. 55 min. 27 sec. 162 hrs. 53 min. 25 sec. 4GB 21 min. 20 sec. 1 hr. 00 min. 49 sec. 2 hrs. 34 min. 24 sec. 16GB 1 hr. 26 min. 05 sec. 4 hrs. 05 min. 15 sec. 10 hrs. 22 min. 35 sec. • The approximate number of videos recordable on memory cards other than the above can be calculated by using the above figures as a reference and extrapolating accordingly. *Movies can be erased individually.